Lots and lots of amazing and wonderful things going on around here, far too much to put in one post. What you do need to know right now is that sign-ups are presently open (and will be until Oct. 6th or until all spaces are filled) for the “Down the Rabbit Hole” Wonderland themed round of the Mad Geek Tour, and our “Into the Black” round is wrapping up. I can’t wait to see the bags for these two! 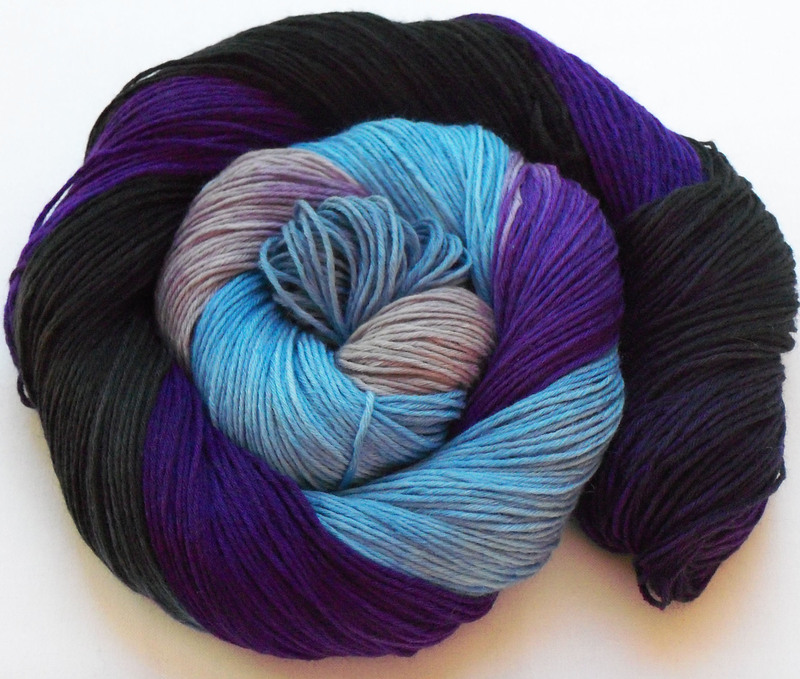 I’ve been very negligent in posting club colorways (and am really working on that! ), and thought I’d share what i have from our last “Doctor Who?” round. 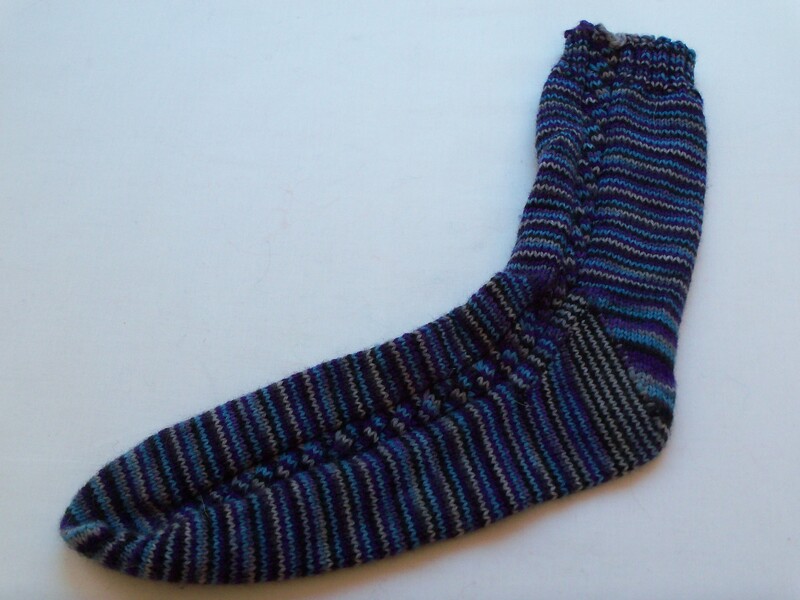 Unfortunately, I forgot to take pics of the May colorway, “Church at Auvers”, but TammyG has a great pic in her stash, and jench24’s Spaced Check socks and kmckee623’s Doctor Who Skew socks are fantastic! I really loved all the colorways for this round. I have even very nearly finished a pair of socks from the final colorway, “The Fall of the Eleventh”. The other is just a few inches from done. 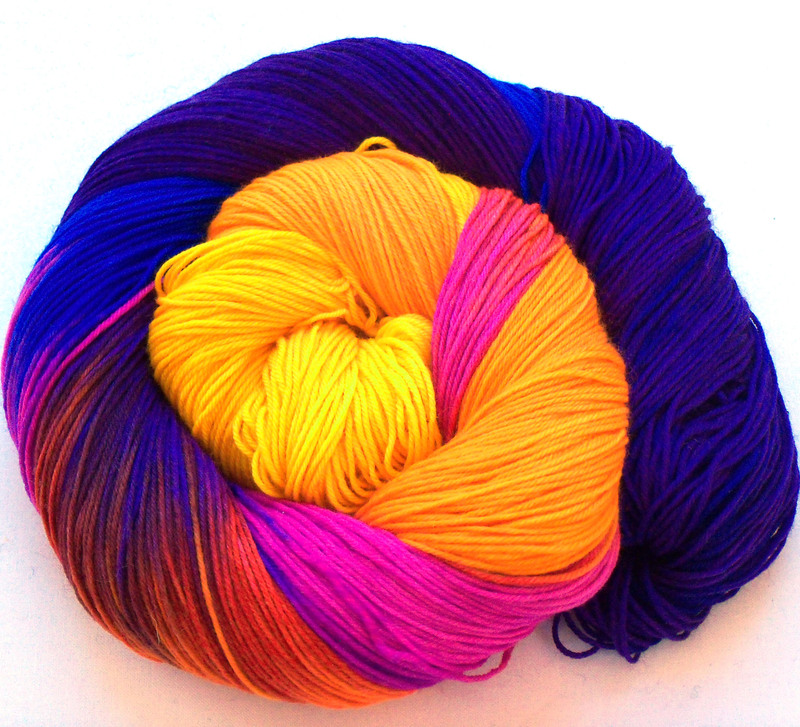 And finally, our April colorway was very definitely one of my favorites, and I cvannot say the name without that oh-so-wonderful accent, “Life is Short, and You Are Hot”. Sigh. I love that Billy Shipton. I have more projects to show you in the days to come, and come fabulous colorways to reveal from the Mad color Posse, as well as a bit more info on my upcoming Sunnydale club-collab with Laura/KnottyLa from Dizzy Blonde (pre-reg here) so check back soon!